“I love you for saying that,” says Kate Lewis, svp and editorial director for Hearst Magazines Digital Media (HMDM). We have asked her opinion on why the cyclical rediscovery of the fact that women’s magazines cover politics persists. It works like this: an article or some sort of social media commentary will appear that treats the idea of a women’s magazine delving into political coverage or offering resonant insight into political culture like a novel curiosity. There will be responses to the surprise that counter with an account of the history of political coverage that has long existed among the more stereotyped fare like eyeliner application tips and bathing-suits-for-every-shape collections. But like Sisyphus forever rolling his boulder up a hill, the misperception is never fully contained and the cycle repeats itself. For just one recent but not 2016-recent example, Cosmo devoted special coverage to the 2014 elections under the banner #CosmoVotes, which included a get-out-the-vote campaign and candidate endorsements based on how well prospective candidates were aligned with Cosmo’s stance on issues like reproductive rights and voter id laws. Most of the kind of work that we do around issues has to do with finding women or a woman who have experienced those things, and explaining what her life is like. And from that, we allow our readers to extrapolate any kind of understanding that that may provide them on an issue. The salient question to explore isn’t, are women’s magazine covering politics and its attendant issues? The question is, how? 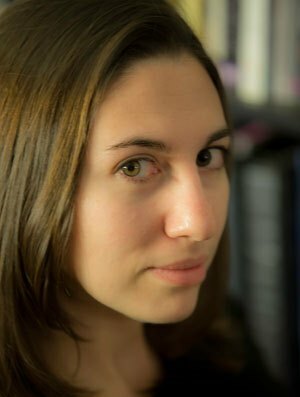 For Hearst’s collection of sites, its post-election gaze has turned, in part, to activism, exemplified by its partnership with America Ferrera and Harness, the organization Ferrera co-founded with Ryan Piers Williams and Wilmer Valderrama that connects interested individuals to community leaders involved in activism. The partnership with Hearst extends across Cosmopolitan.com, Elle.com and MarieClaire.com, and will include a documentary series currently in development that profiles specific women and their singular accomplishments. The kickoff to the partnership happened last month, at an event hosted in the airy, light filled, multi-screened cafeteria at Twitter’s New York headquarters. 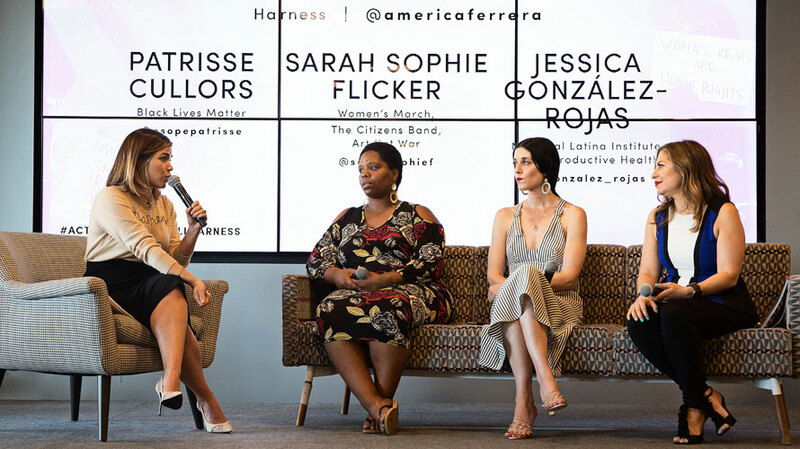 It featured Ferrera moderating a panel that included Black Lives Matter co-founder Patrisse Cullors, activist and strategic advisor for the Women’s March on Washington Sarah Sophie Flicker and executive director of the National Latina Institute for Reproductive Health Jessica González-Rojas. There were over 100 guests in attendance–mostly women, mostly young, diverse, and dressed in a way that, whether work or casual, made you want to take notes and update your own wardrobe. But the attention of the audience was on the women on stage, who were talking about the what and how of getting involved with and supporting communities engaged in activism. The scene was a live representation of the idea of women’s magazines–that it is ok to care about appearance and activism, separately and concurrently, that an interest in one doesn’t cancel out an interest in the other.